AC powered with included adapter or 9V DC battery. When using battery power, use auto-off timer to save battery. 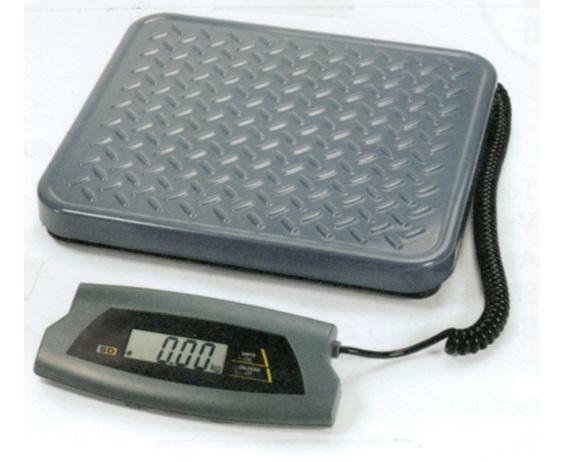 Two weigh modes: kg., and lbs. Safe overload of 150% capacity. Small platform features painted steel with raised embossed tread pan. Large platform has painted smooth top platform. 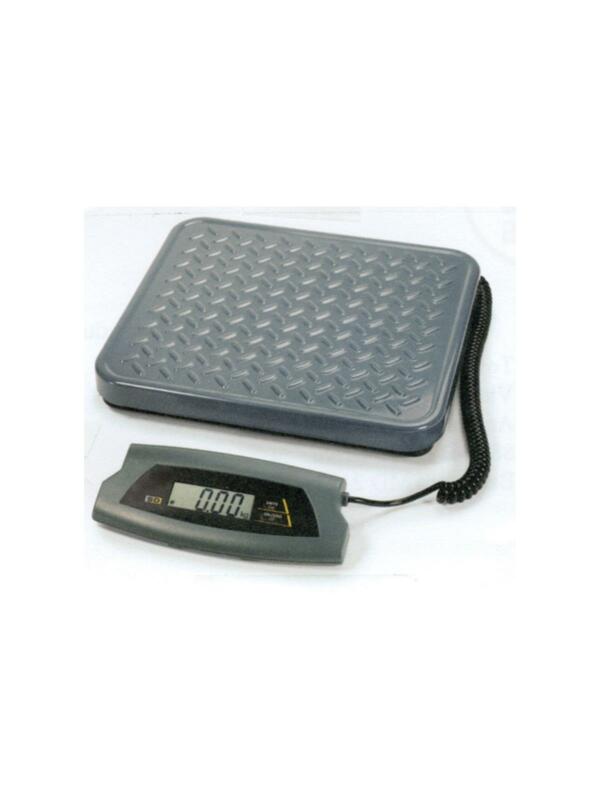 LCD display and easy to use two button operation. FOB Shipping Point. 165 lb. x 0.1 lb. 75 kg. x 0.05 kg. 20.5 x 15.7 x 3"20.5 15.7 3"